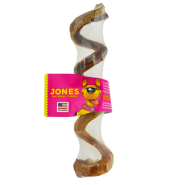 Dogs get twisted up begging for Jones' Bully Twister! 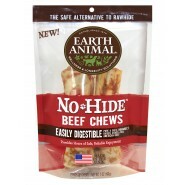 It consists of two USA all-natural bully beef sticks twisted together for a high-protein, low-fat, easily digested chew. 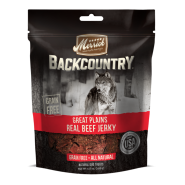 To enhance the flavor they are oven baked in their natural casing with no artificial ingredients added. All Jones’ products are 100% grown and made in the USA. This chew is perfect for medium & large size dogs.